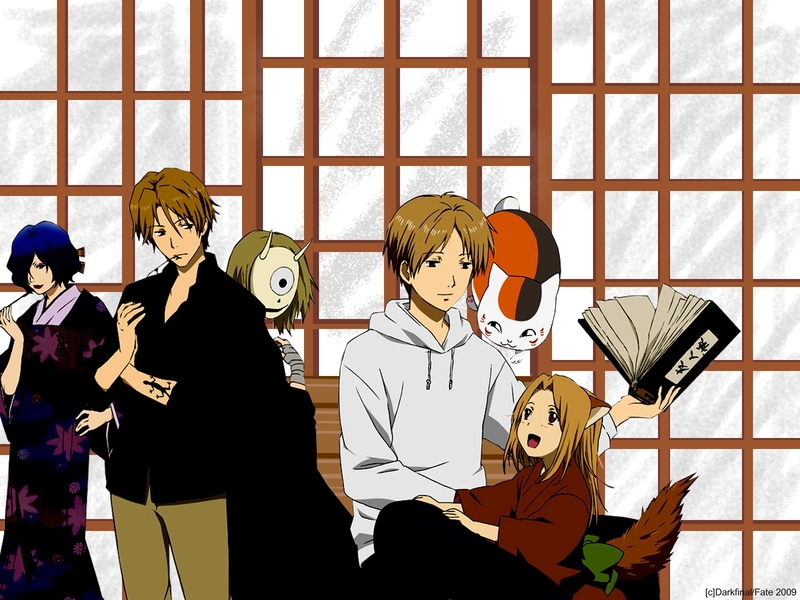 Natsume Yuujin-Chou Wallpaper: Natsume Yuujinchou:Our Lifestyle..
Minitokyo »	Natsume Yuujin-Chou Wallpapers » Natsume Yuujin-Chou Wallpaper: Natsume Yuujinchou:Our Lifestyle..
About the Wallpaper: My 2nd Wallpaper from this series. I have decided to do the painting for the background.. well, it definitely needs some improvement though. what a shame you didn't vectored the scan I would be way better! I like it! It has my favoriture heroes from this series, so I really like it! Awww the whole cast :D I love this one! this is one of my favorite animes. unhappily it's not all that popular. really hard to find images on it. I'm glad this wallpaper is so beautiful.